Banning anything is not the solution and when there is a thing which not only associated with the profit of small farmers and tamers who raised the bulls for this sport but also with the emotions with its attachment with ancient cultural practice. 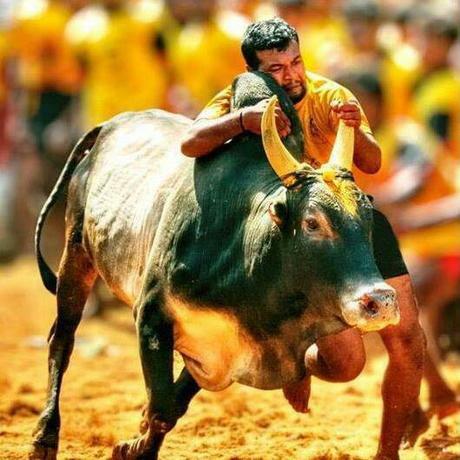 Supreme Court instead of banning it should have tried to find a midway through which Jallikattu can happen without hurting the bull and the people. In our country people are touchy about identity related issue and with this sport people identify themselves. In the eastern part of India i.e in Nagaland imposing 33 % women quota in local body election resulted in the violent protest by many tribes there. Here I like to bring the issue of Uniform Civil Code also. The country where there are so many cultures and identities how can one forcefully try to govern them through rule of law which destroys their identity as a person of particular region,religion and culture. But then again if the practice in a culture is damaging our progressive society or hurting anybody it should be regulated through dialogues and talks with each party involved. As far as Jallikattu is concerned it has started in Tamil Nadu and today (5.2.2017) reports of injuries to 36 people including one serious injury has reported from Madurai which I think is wrong and should not happen because each life is precious. I just hope that a solution is reached where neither the rule of law is overruled and nor the sentiments of people get hurt. Till next post. God Bless India. Excellent post! Reflect my mind! !